Parteneriatul este format din 6 tari europene: Grecia, care este tara coordonatoare, Germania, Polonia, Romania, Slovenia si Spania. Acest proiect a fost finantat cu sprijinul Comisiei Europene. Motivatia principala in a crea acest proiect a fost reprezentata de dorinta arzatoare a unui parteneriat axat in exclusivitate pe Invatamantul Special. Am ajuns la concluzia ca artele (muzica, dansul, teatrul, filmul, fotografia, lucrul manual, poezia) si emotiile (atat recunoasterea cat si exprimarea lor) nu sunt regasite numai in viata de zi cu zi. Ele pot reprezenta o modalitate excelenta de a atrage curiozitatea, implicarea si interesul elevilor nostri, in cele din urma imbogatindu-le cultivarea extracurriculara. Toate scolile participante educa exclusiv, elevi cu nevoi speciale (diagnostice variate), cu varsta cuprinsa intre 3 si 18 ani. Profilul scolilor partenere fiind similare, reprezinta un avantaj, cu totii intampinand probleme si limitari comune in activitatea noastra; scopul comun fiind acela de a oferi tot ce e mai bun pentru elevii nostri si dorinta comuna de a ne imbogati repertoriul profesionist cu metode educationale si terapeutice inovatoare. The partnership consists of 6 European schools : Greece, which is the coordinating country, Germany, Poland, Romania, Slovenia and Spain. This project has been funded with support from the European Commission. The desire for a project with partners involved only in Special Needs Education was the main reason for the establishment of this partnership. 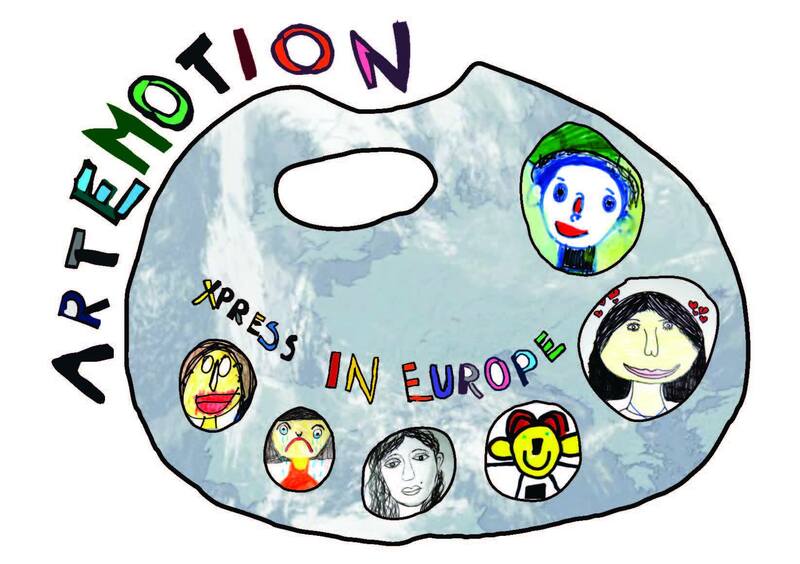 We came to the conclusion that Arts (Music, Dance, Theater, Filming, Photography, Handcraft, Poetry) and Emotions (both recognition and expression) are not only weaved in everybody’s everyday life, but also a fine way to gain our pupils’ interest and to enrich their extracurricular cultivation. All participating schools provide education exclusively to students with Special Needs, aged from 3 to 18 years old, of a varied diagnosis. These similar school profiles are of our advantage, as we have common problems and limitations in our work, common ambition to provide the best to our students and common thirst to enrich our professional repertoire with innovative educational and therapeutic methods. In iunie 2016, Mariana Hertoiu o colega de-a mea implicata in proiectul descris mai sus, mi-a propus sa tin un workshop in toamna cand acest proiect avea sa se desfasoare la noi in scoala; toata echipa urma sa viziteze Romania. In general eu ma entuziasmez foarte usor atunci cand vine vorba sa tin sau sa particip la cursuri care implica artele. Asa ca am acceptat! Trebuie sa recunosc ca m-am emotionat destul de tare cand am primit aceasta oferta si in acelasi timp am simtit-o ca o mare responsabilitate. Era momentul sa impartasesc mai departe cele invatate la Bucuresti in formarea Phronetik®, si o buna oportunitate prin care sa subliniez partea terapeutica cu care un PROFESOR/EDUCATOR poate sa sustina un copil. Astfel am structurat workshop-ul impartindu-l in 2 parti. Doua exercitii diferite, in care participantii (24) sa lucreze in perechi astfel incat sa fie pe rand observatori sau cei care experimenteaza procesul. In June 2016, a colleague of mine involved in the above presented project – Mariana Hertoiu, proposed me to host a workshop later in autumn, when this project was set to be deployed in our school; the whole team was supposed to visit Romania. Usually I`m always getting excited when it comes to host or get involved in courses that are arts related. So I said YES! I need to admit that I`ve got a bit too excited when I`ve received the proposal and in the same time I`ve felt it like a big responsibility. It was time to share all the knowledge gained in Bucharest thru the Phronetik® trainings and a big opportunity to highlight the therapeutically part with which a tutor/professor can support a child. That way I have divided the structure of this workshop in 2 parts. Two different exercises, where all the participants (24) could work in teams so that each one can play the observer role or experiment the process. observatorul completeaza foaia de obs. observatorul completaza foaia de obs. Ceea ce eu am simtit pe parcursul acestui workshop a fost ceva special si magic. Acest sentiment m-a si determinat sa scriu despre experienta traita. Am aflat ulterior in supervizare ca acea stare de liniste, claritate, implinire si siguranta poarta denumirea de PREZENTA. Teoretic acest termen imi era foarte cunoscut, nu mai zic ca am si scris o postare despre AKTIVE COMMUNIO, dar nu o mai traisem in acest fel niciodata pana in acel moment. Astfel revin si subliniez importanta crearii unui spatiu sigur, invaluit in iubire, continere si acceptare neconditionata atunci cand lucram ca si terapeuti si de ce nu si atunci cand sunem profesori/ educatori. Acest spatiu sigur, ii va oferii oportunitatea copilului/ omului sa creasca armonios din propria lui esenta. Acest blog fiind unul personal surprinde doar trairile mele, insa recunosc ca mi-ar placea tare mult, daca textul va ajunge la o parte din participanti, sa imi lasati un comentariu cu ceea ce voi ati trait. MULTUMESC! What I have felt during this workshop was something special and magic. This feeling determined me to write about what I`ve experienced. Further on I`ve found out that while supervising, that state of tranquility, clarity, fulfillment and safety it`s actually called PRESENCE. Theoretically this term was very familiar, without mentioning that I have posted about AKTIVE COMMUNIO, but never felt it until that moment. This way, I`m again highlighting how important is to create a safe place, filled with love, unconditional sustenance and acceptance when we work as therapists and why not also when act as tutors/professors. This safe space, will offer opportunity to the child/human to grow harmonious in his own essence. As this is a personal blog, it contains only my personal experiences, but I have to admit that I would love if the above words will be read by some of the participants, so do not hesitate to share your own experience. Thank you! For me it was completely new activity and I enjoyed very much in it! Made me very relax although I was initially quite uncertain how I will conduct the exercise. Laura, thank you deep from my heart for this great journey through my soul. Hugyou . Am apreciat foarte mult felul in care ai condus activitatea. Desi au participat un numar mare de persoane, am simtit ca s-a creat acel mediu cald, prietenos si sigur in care am avut ocazia atat sa ma exprim, sa ma descopar,cat si sa ‘sustin’-sa particip alaturi de ceilalti si sa impartasim un moment ‘magic’. Multumesc si eu pentru MAGIE! Desi ne-ai spus ca nu ne aflam intr-un grup securizat, prin modul profesionist in care ai condus activitatea, ai reusit sa ma faci sa deschid “sertare” inchise cu lacate, sa dau frau liber emotiilor si trairilor mele, sa eliberez tensiuni de care poate ca nu eram constienta. Am plecat de la atelier cu o stare de bine si cu increderea ca tu, Laura, poti vindeca suflete! Iti multumesc! Micky, multumesc mult pentru incredere! Even though its been a while now, the momories of your workshop are truly vivid in my head and heart. Thank you very much for showing us ways of expression capable to follow even the most shy people! Thank you once again. Stami.